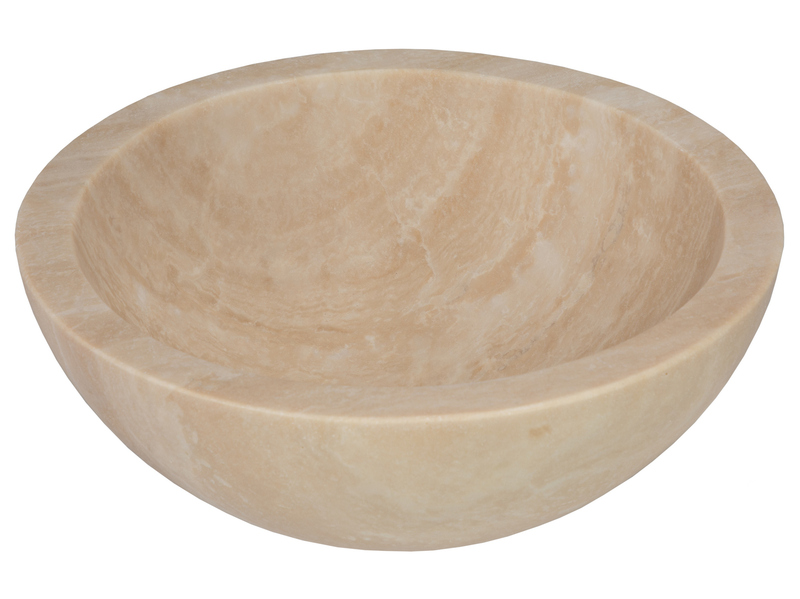 This small vessel sink in beige travertine makes a big statement, its modern design and thick walls give it a bold look while not being overpowering. The honed finish gives the stone sink a muted aesthetic as compared to a polished sink. The honed finish is instantly brightened when the surface comes in contact with water. This small vessel sink is ideal for installations into bathrooms and powder rooms that are short on space but big on ideas. The 14" diameter (with 12” inner diameter) still makes it practical enough to wash your hands in, but small enough to accommodate your limited space.